Studies show many agents are still operating in the past, without the systems needed to provide that extra value to justify their commissions. Creating your buyer systems provides visual proof to buyers that you are helping them prioritize the parts of the buying process where they need a professional’s expertise. Why packages: To create visual, substantive evidence that you are professional, you are knowledgeable, and you are current and contemporary. Non-Committed agents need not apply. You and I know that a non-committed, part-time, or low producing agent just isn’t going to take the time to create these packages, processes, and systems. You are. Creating these packages and systematizing your buyer process shows you are a committed, savvy, value-added agent. To guard against that Internet buyer de-valuing the services you provide, you’re going to start educating them from the time you first talk to them. Your pre-appointment package will do just that. Because you’re thinking in terms now of a complete buyer system, part of that system is a professional process to meet with the buyer using a planned process to meet the buyer’s needs. That means you’re going to educate the buyer, and you’re going to carefully and systematically qualify the buyer. You’re going to use the ‘consultative’ approach, asking great questions in an orderly, purposeful fashion. Bottom line: You’re going to create awesome value, because you’re going to help that buyer prioritize the myriad pieces of information they’ve gotten from the Internet. The last package you’re going to create is the most valuable. But, it’s not given to the purchaser unless and until the purchaser agrees to work exclusively with you. This package has the specific processes, checklists, and systems that you’ve created to partner with the buyer successfully through the home buying process. You’ve systematized your buyers’ process to raise it to a value-added level. You’re not focused on information-providing. You’re focused on information-prioritizing. You are now matched up with the needs and desires of that Internet buyer, and you’re poised for exceptional real estate success. Congratulations! Don’t waste time reinventing the wheel: To help you get into action instead sit creating systems at your computer, I’ve provided a ready to use PowerPoint presentation, along with the three buyer packages you need, read to go, in The Complete Buyer’s Agent Toolkit. Not only that, I’ve provided a comprehensive training system to assist you in performing like a top producer—even before you are one. Click here to learn more. Thank you for your great information. I value your knowledge and experience and find your articles answering many questions I had, and many more I didn’t even know about. 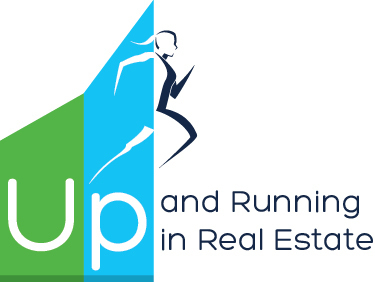 I look forward to obtaining the Up and Running in 30 days course in the near future. I’m not an agent, haven’t attended a real estate school nor sought out a broker yet . . . not yet. But it is what I’m going to be when I grow up – in about another 2 months or so. Glad you like the information. I think the Mega-Agent book that is linked in this blog would help you immensely as you get ready for your real estate career. There is a great chapter on interviewing that will put you at an advantage and show you the questions to ask to get the ‘real scoop’. Good luck!